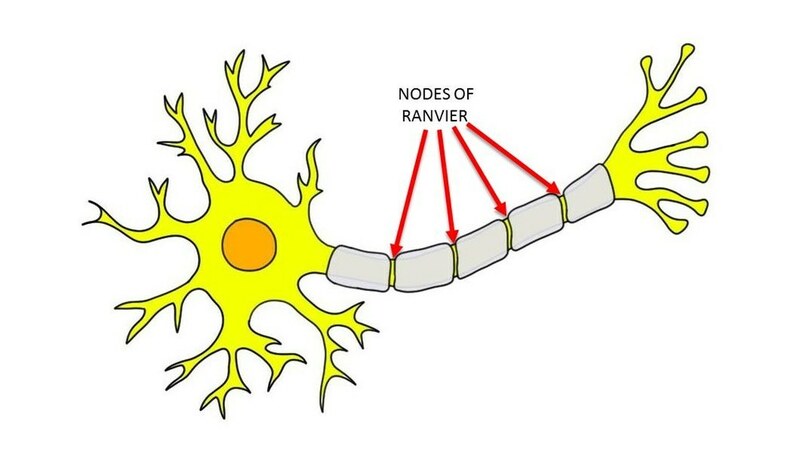 Definition of nodes of Ranvier. intermittent gaps in the myelin sheaths of axons. Nodes of Ranvier are densely populated with voltage-gated sodium channels; as an action potential reaches each node of Ranvier, these sodium channels open and cause an influx of sodium ions. This regenerates the action potential to prevent it from decaying as it travels down the axon.